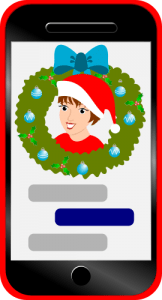 Make time to celebrate Christmas with your loved ones by speeding up your December social media posts! Use our Affordable, Ready-Made, High-Quality December Social Media Quotes Graphics to save you time! or buy all 20 of them for only £9.50! 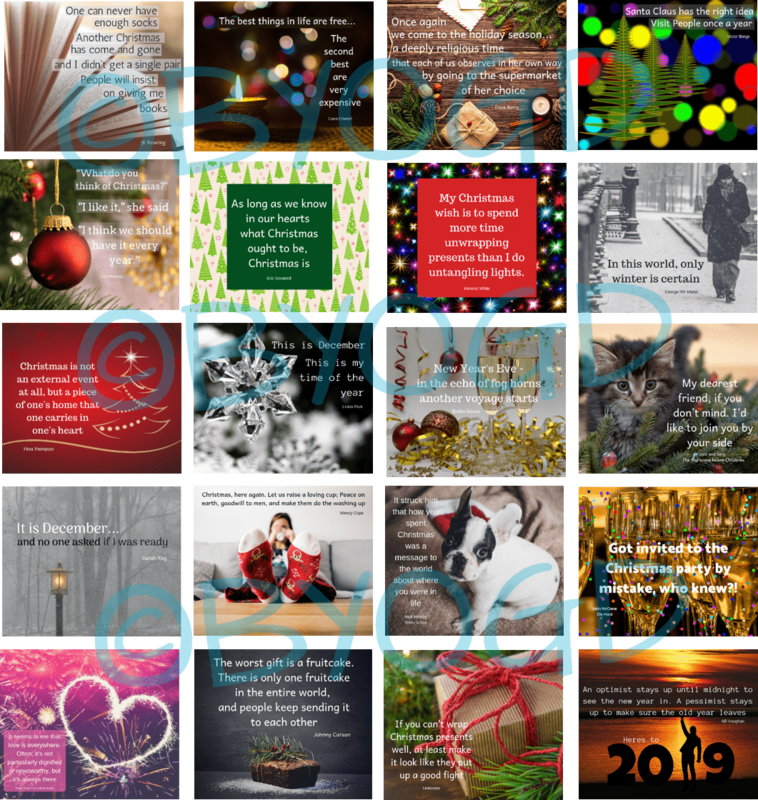 You’ll love our images…a package of 20 ready-made images complete with quotes themed around December and New Year or buy them individually from The Collection. You can use them on any of your social media accounts either just as they are or add your logo and/or website address to personalise them. Either purchase the bundle of 20 images or buy them individually for just 75p each by going to The Collection and choosing the individual quote images you want! All images are downloaded as clear backed high-resolution PNG files with no watermarks. You can schedule these to all your social media accounts and relax knowing that at least part of your social media content for December is done! Don’t forget to post about your own products or services too! Stay in touch with your followers, and let them share the word about you, with these high-quality, shareable graphics. 20 PNG graphics, each 940 x 788 pixels perfect for all your social media! Seasonally themed quotes on eye-catching photos that grab viewers’ attention. Perfect for Facebook, Instagram and Twitter! Also great for your LinkedIn, Pinterest and your blog. Edit as you please. Add your own website URL or logo! Copyright and royalty free to use on your own social media accounts. You may NOT resell the images or use them for clients. Perfect for everyone! Save time and money….and solve the ‘I don’t know what to post’ problem! Buy Now! Available for immediate download. Payments will be processed through PayPal but remember you don’t need a PayPal account to make payment. Your payment allows your own personal use of the graphics. You do not have rights to share access details or to sell or give away the graphics. All our social media quotes images are downloaded as clear backed high-resolution PNG files with no watermarks.